Hi! My name is Jennifer. Teaching sewing to kids and teens is truly a joy to me! 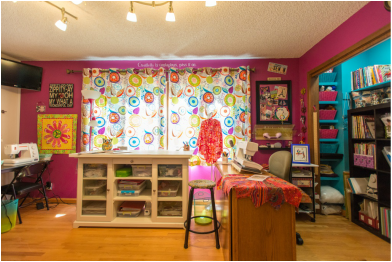 I’ve taught the Kids Can Sew™ program to children in the Reno and Sparks area going on seven years and I am delighted to be able to share my passion in my beautifully appointed home studio. I am a lifelong sewer and have been crazy about quilting forever! I started my first quilt when I was thirteen, and pieced it all by hand. Later, as a stay at home Mom, I made my 2-year old daughter a log cabin quilt in pinks and greens, she tells me she still snuggles under it from time to time. That’s when the quilt bug bit and it bit hard, and it has never left me! During those years, a close friend and I started a quilt guild in Orange County, California. Our vision had us hiring nationally known quilters to come to do a monthly evening program followed by an all day workshop. We did this every month from the beginning and within the first year our guild boasted 350 members! As VP/program chair, I was blessed to meet these amazing women and take their fantastic workshops. I learned so much from each of them increasing both my sewing and quilting skills. Quilting forms a big part of my social life to this day and it has always been a focus and distraction for me. It’s one of the things in my life that I can count on to put me in a relaxed and happy mood. 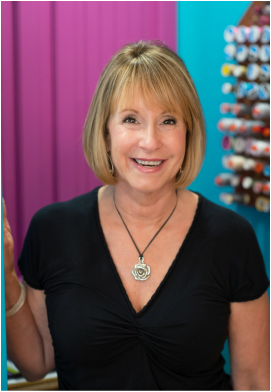 My love of quilting has taken me to many shows and events around the country with girlfriends and I’ve even shopped for fabric in Japan, London, and Italy when my husband and I traveled on vacations. Whenever we go to a new place, I always look for the local fabric and quilt shops! This zeal for color, designs, fabric, and creating is what drives me to teach children and teens to sew! I am grateful for the opportunity to share a bit about me with you. I hope that it spurs an interest in you to share sewing with a special child in your life.